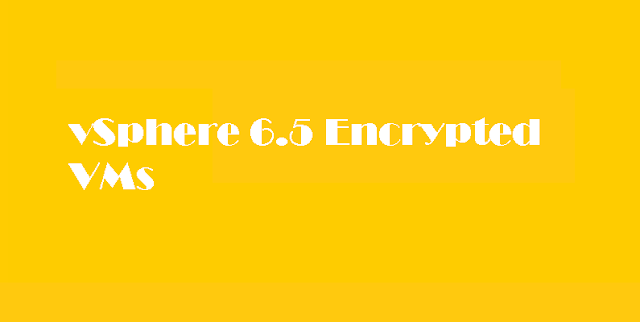 vSphere 6.5 introduces the several latest features and improvements including one of the notable feature is the encrypted VMs. 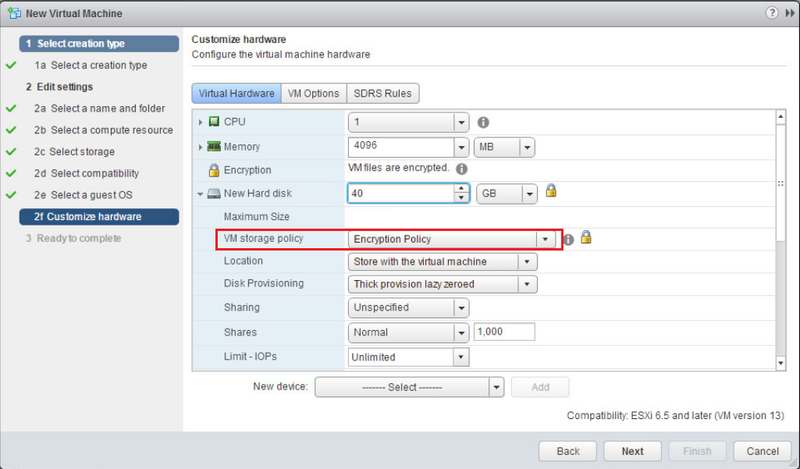 This guide will walk you through the steps configure and create encrypted VMs in vSphere 6.5. 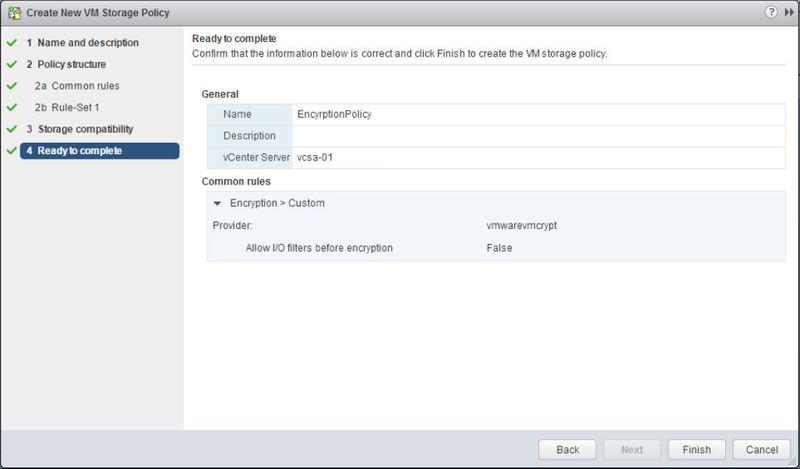 To begin deploying encrypted VMs, first you need to add vCenter to a Key Management Server. 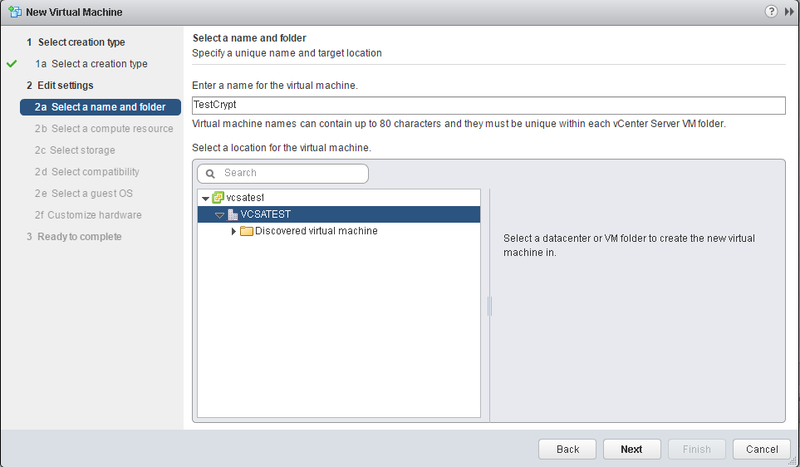 To accomplish this, navigate to vCenter server inventory list, Click Manage > Key Management Servers > Add Server. 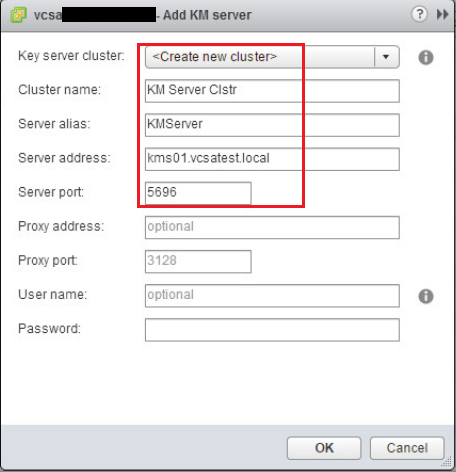 Provide the information for your cluster name, server alias, server address, and server port. 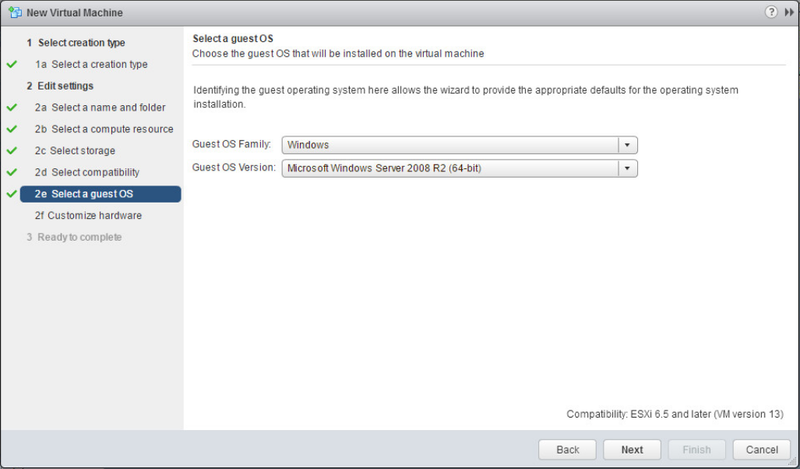 Here you will see a security dialog prompts you to trust the certificate. 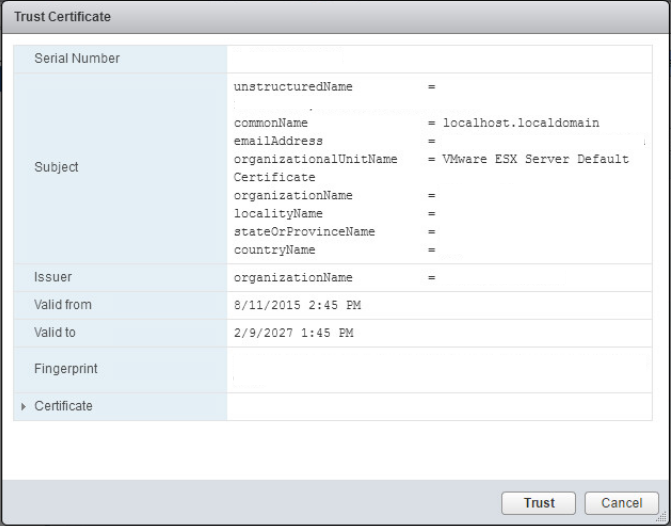 Once trusted, you can see green check boxes next to the Certificate status as show in image below. 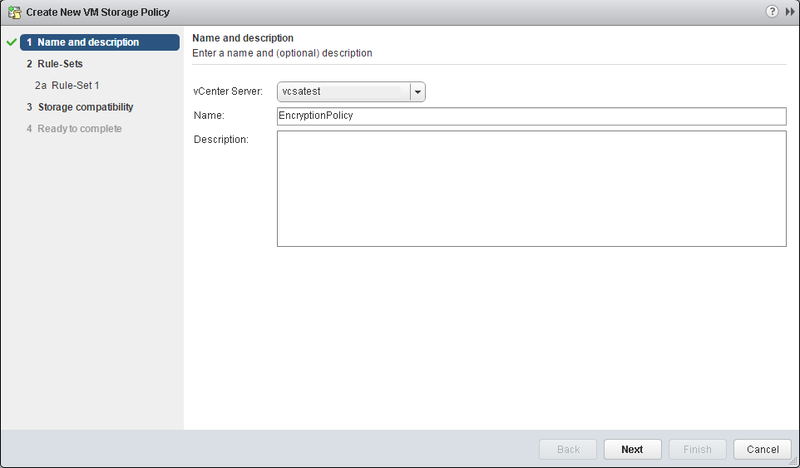 Provide Name for the policy. 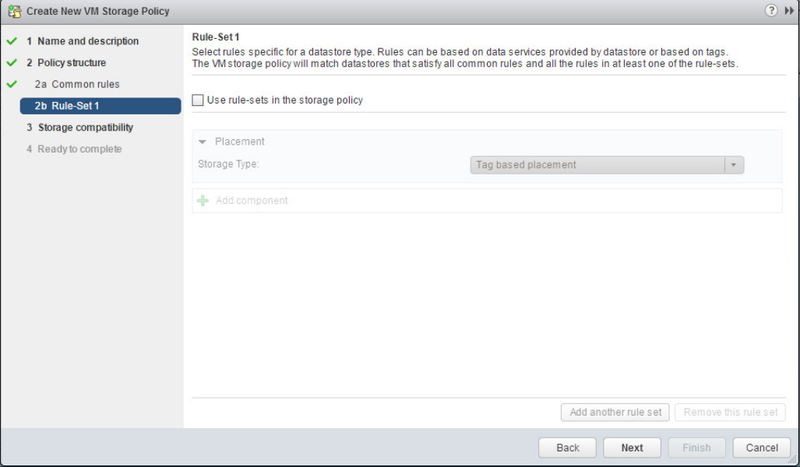 Under Common Rules tab, Tick "Use common rules in the VM storage policy". Click Add Component, Click Encryption. Leave the "Allow I/O filters before encryption" to false. 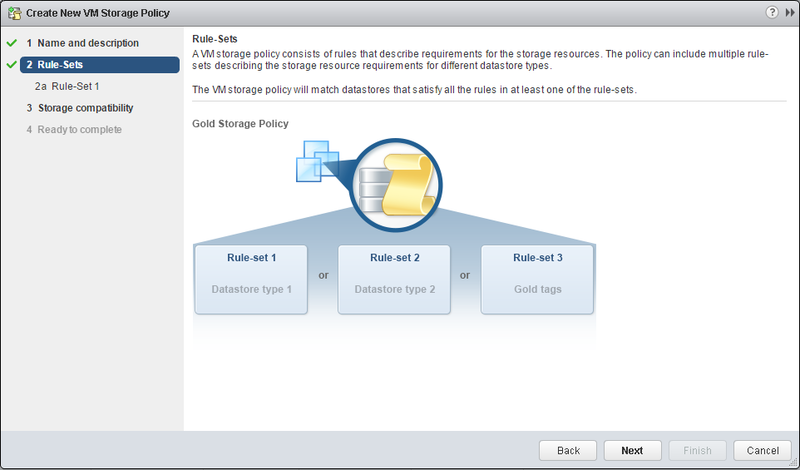 Uncheck the "Use rule-sets in the storage policy". 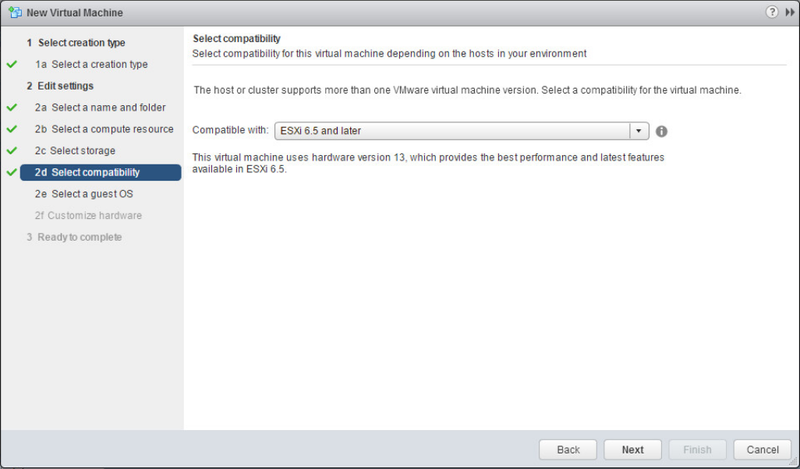 The following screen shows the storage compatibility. 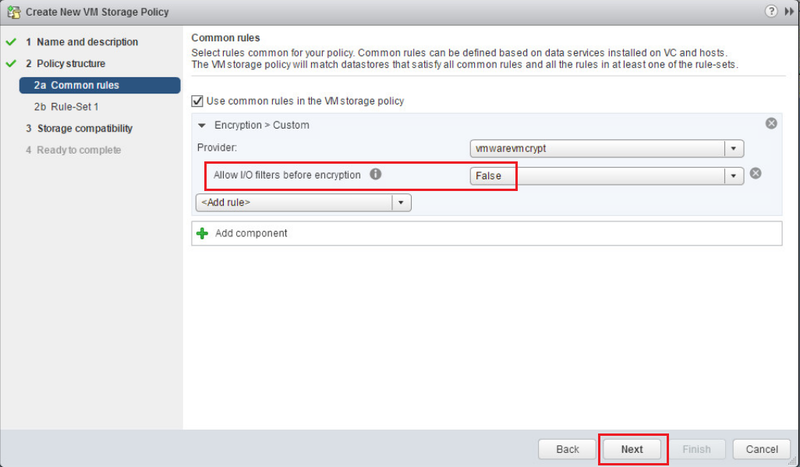 Click Finish to create the encryption storage policy. 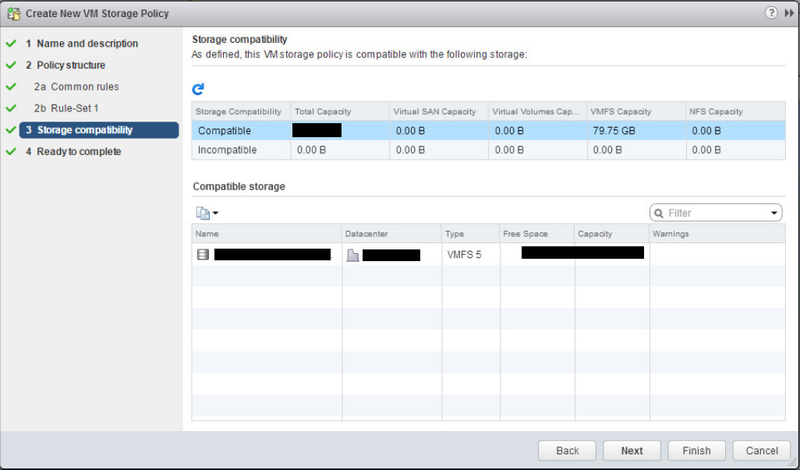 Here you can see EncryptionPolicy is now listed in the available VM storage policies. 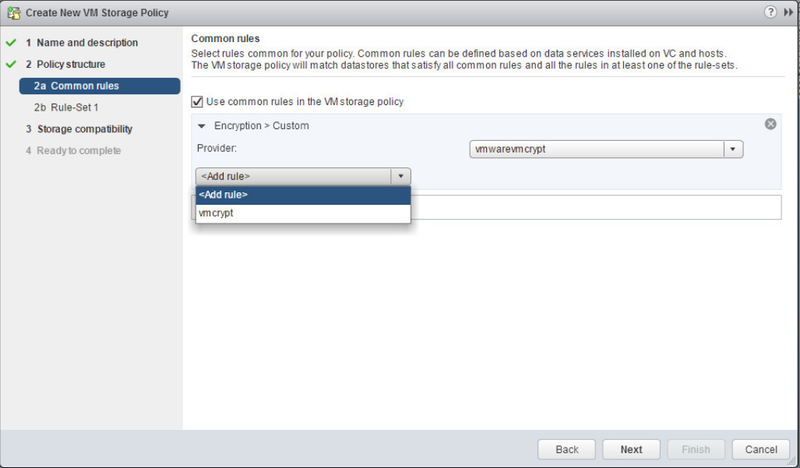 Select your Encryption Policy from the VM storage policy drop down. 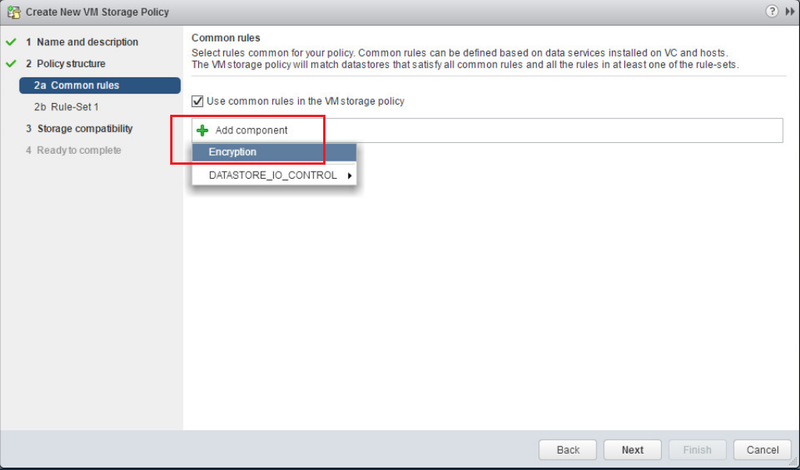 When you expand the hard disk for the VM, notice how the VM storage policy shows the Encryption Policy. Another useful feature is the Encrypted vMotion. 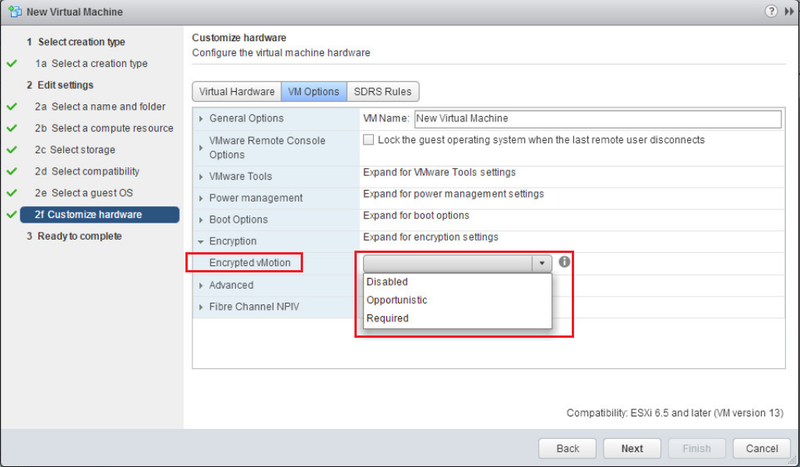 You can configure setting here to determine how the VM handles vMotion to another host. 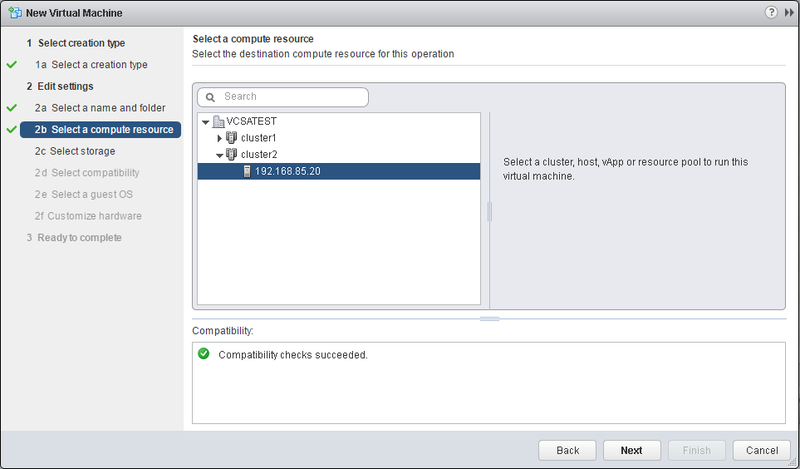 Required – The vMotion process with this VM must use encrypted vMotion. 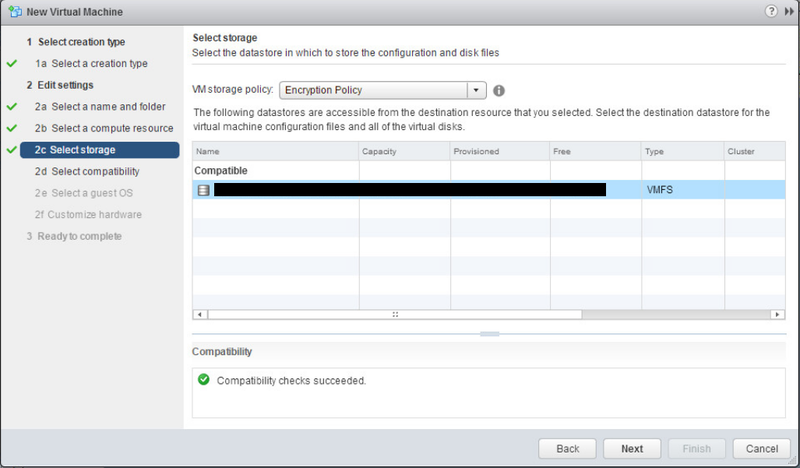 If the vMotion operation doesn’t support encryption on the destination host, the vMotion operation will fail. 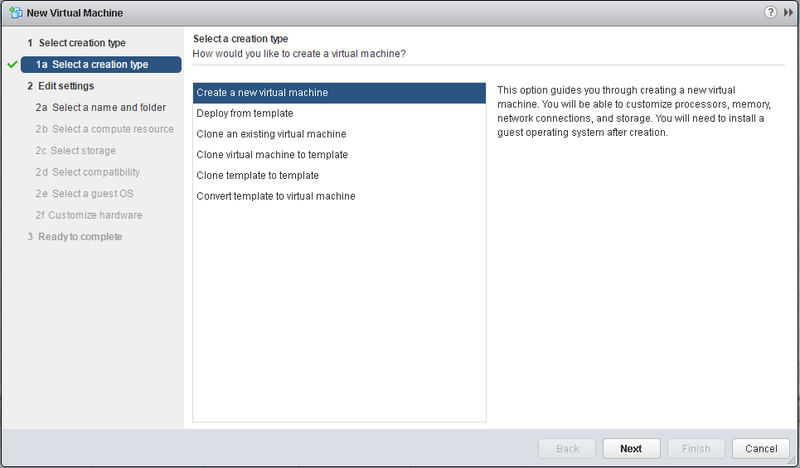 I hope this guide was useful to configure and create encrypted virtual machines within the vSphere 6.5.